Teotihuacan was a great city in prehistoric Mexico. Located around 30 miles North of modern-day Mexico City, its population made it one of the biggest cities in the world during its zenith. It began its inception around 250-200 B.C. and maintained its prominent architecture building all the way until 250 A.D. The city was burned around 550 A.D., but suddenly fell in 750 A.D. Many speculate why the city fell out of its contention, but most scholars agree it had something to do with an invasion or internal civil war. This is still one of the locations around the world that shows off the amazing pyramids the ancient people built. Teotihuacan was not created by the Aztec's, but was of great value during the time of their civilization. In fact the Aztecs' believed it was the Toltec's who built the city but researchers suggest the city predates even them. The constructors of Teotihuacan were intelligent. The city was founded near a steady water source. The area surrounding the city was perfect for growing crops and maintaining a solid food source to help set up a strong population. Which in fact was one of the most successful businesses of the time. Most of the population was involved in farming, while just about the rest worked the mines along with slaves and other captured civilizations. To help people stay motivated the belief in a higher power was very important. As with many of the pre-Spanish civilizations of Central and South America there are more questions than answers surrounding the culture of Teotihuacan. From village communities, at around 200 BC, there developed an urban civilization in the highlands of Mexico. Over the centuries it produced huge, precisely constructed pyramids for cultic purposes. In the 8th century AD Teotihuacan suffered a catastrophic collapse. At its zenith this now legendary ruined city extended over 20 square kilometres and was thus larger than Imperial Rome. Nobody knows what language its inhabitants spoke, or what people they belonged to. No writing has been found, nor has the name of any ruler. The film follows the traces of a forgotten society and contrasts them with the surviving Indian traditions of present-day Mexico. Large temples and pyramids were built in the city to allow people to pray and pay homage, but most importantly to signify the closeness to the Gods. The Priests and Shaman who ran the city were the most educated people of the time and this helped them to keep control over an uneducated and superstitious culture. Religion has always been an issue with controlling our ancestors, whether it be in America or Europe and it still happens to this day. Captured people and slaves were also sacrificed in the most brutal ways which would help control a, possible, unruly populous and scare people into submission for fear of execution. Having the best and most advanced weaponry also helped. I think the biggest reason for the rise of Teotihuacan was their control over the supply of advanced weaponry. Teotihuacan had over 100 obsidian workshops with capable of creating the most technologically advanced weapons of the time, obsidian spear points and obsidian blades. Due to this fact, not only could the Teotihuacan’s have the advantage in combat but could also create and manufacture arms to sell and build a large economy while at the same time putting their enemies into submission. The artwork, sculptures, and sports of the culture show the presence of the warrior mentality. 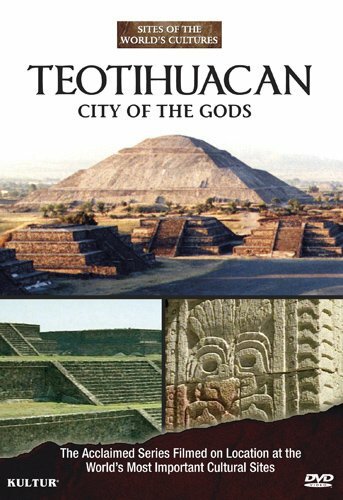 This book is the first comprehensive study and reinterpretation of the unique arts of Teotihuacan, including architecture, sculpture, mural painting, and ceramics. 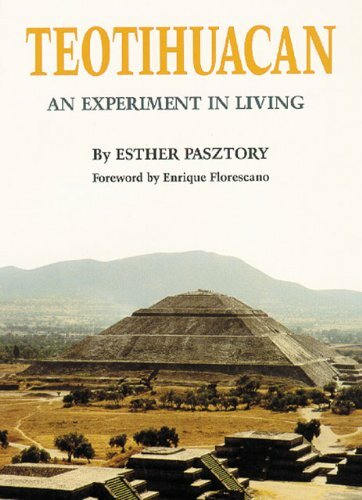 Comparing the arts of Teotihuacan - not previously judged "artistic" - with those of other ancient civilizations, Ester Pasztory demonstrates how they created and reflected the community's ideals. Most people associate the pyramids of central Mexico with the Aztecs, but these colossal constructions antedate the Aztecs by more than a thousand years. The people of Teotihuacan, who built the pyramids as part of a city of unprecedented size, remain a mystery. The artwork surrounding Teotihuacan temples and pyramids were very important for telling stories and sharing the culture of the people from that time. I think the ball game, Ulama, was probably the most brutal sport played, if were not including Gladiators as a sport. Which ever team lost, the Captain of that team was decapitated (maybe a tad bit extreme). The amazing architecture shows the power of the civilization, similar to ancient Egypt. The Teotihuacan’s built gigantic pyramids for their Gods and of course to intimidate other cultures. The city of Teotihuacan was known for allowing other religions to practice while trading in the city but was also known for decapitating their rivals. Just as so many other civilizations around the world that have come and gone, so did Teotihuacan. With military might, high production and established land mass it is amazing to see how a civilization like this can just disappear. I think that we should learn from the mistakes of other cultures and civilizations so that we may try to stop the ebb and flow of great civilizations such as ours. To include the mistakes of Moctezuma. Now reissued with a CD and wall chart! 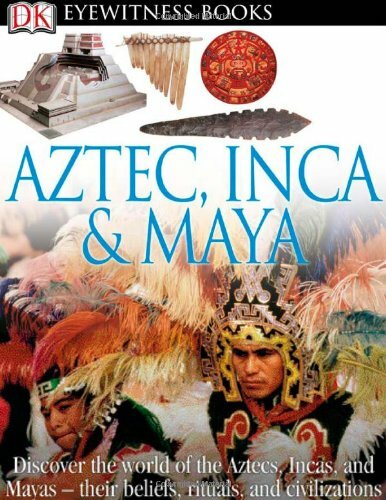 Eyewitness: Aztec, Inca & Maya is a spectacular and informative guide to the rise and fall of the pre-Columbian cultures of the Aztecs, Incas, and Mayas, who built vast empires and left behind a legacy of mystery and wonder. Amazing color photographs offer children a unique "eyewitness" view of these incredible civilizations. I meant 7-8 century A.D. by the way. The city was probably founded about 100 B.C. The tips are great. You're absolutely right. I need to revise a lot of my articles including this one. Thanks for reading. Very good start to what could turn into a great essay.